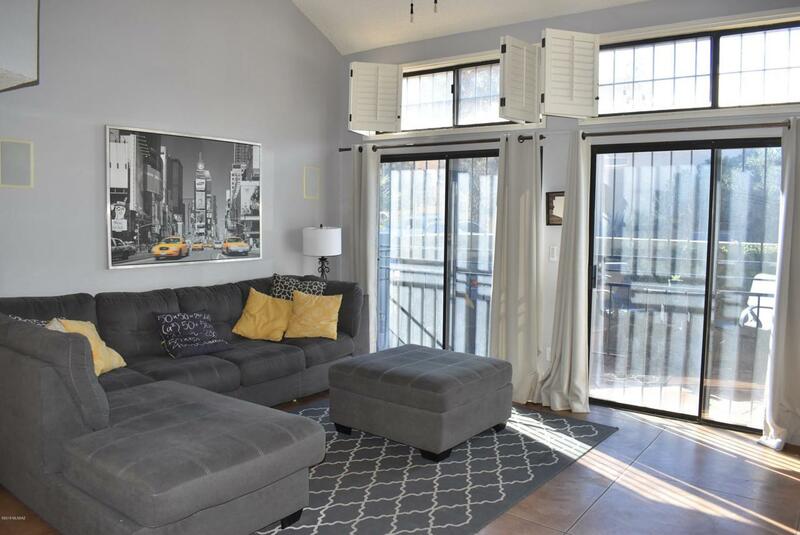 Urban living at its best in Racquet Club Village! 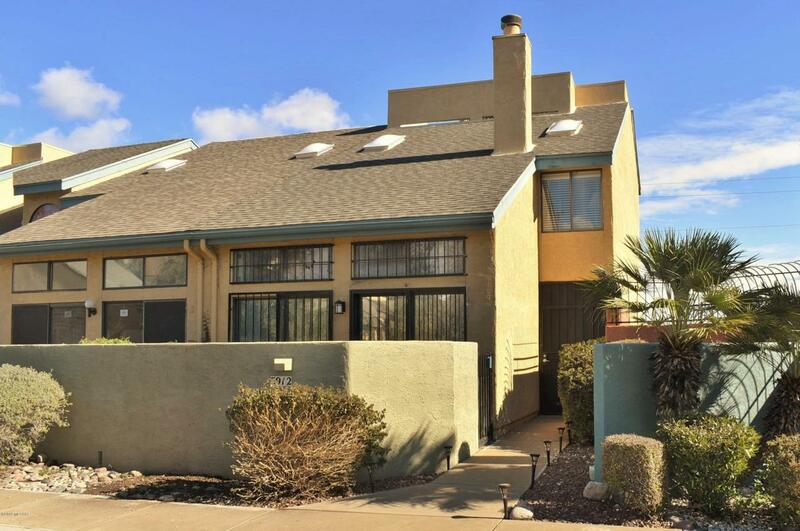 Unique multi story soft contemporary 2 bedroom with loft is just steps to the community pool, overlooks the Loop & offers gorgeous mountain views! Soaring ceilings, scored concrete floors, two master suites, each with walk in closets, a full bath & dual sinks, ceiling fans throughout. . The living room has a built in speaker system & a wall of windows opening to the walled flagstone courtyard. 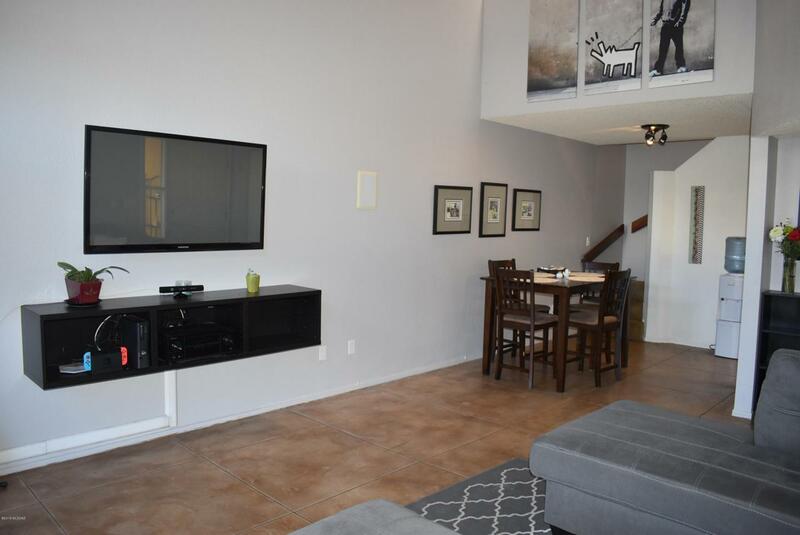 The loft is a great gathering and entertaining area with wet bar & fireplace. 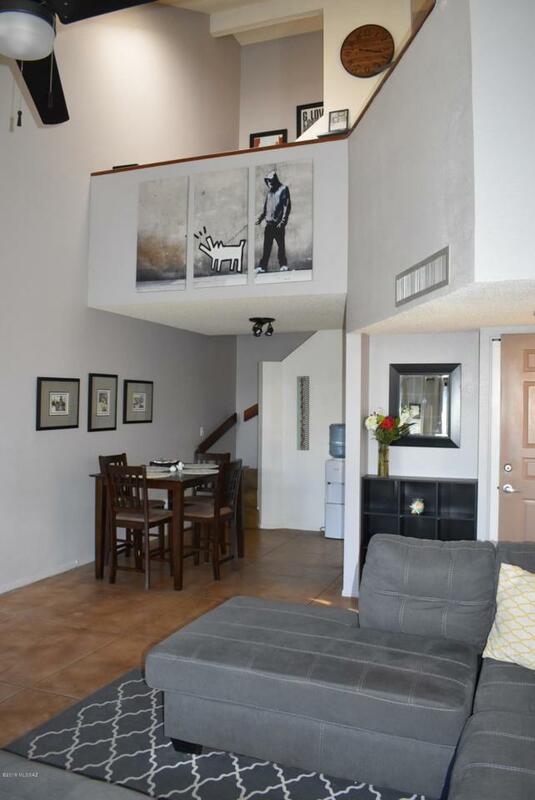 Coveted central location close to the UofA, upscale shopping, short walk to Racquet Club & Winterhaven! New roof & no PB!